I love Chokoe. I think they’re incredible looking vegetables and they make me smile whenever they come up for sale at the local Coles. Everyone looks at them so suspiciously! 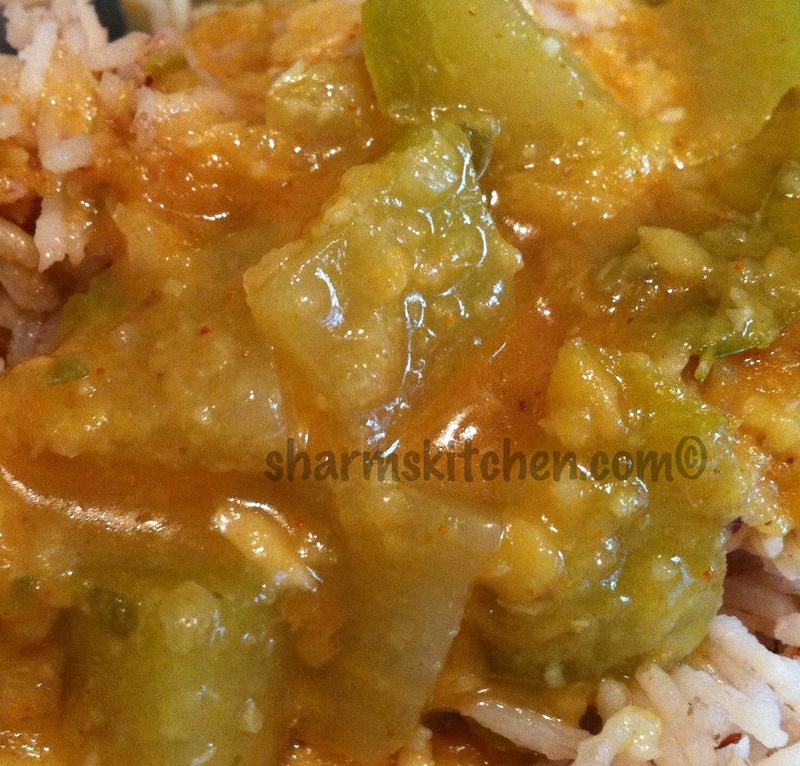 I find the easiest way to cook them is with Dal in a pressure cooker. Hard to go wrong and they come up beautifully tender and very very tasty. Pressure cook chokoes with toor dal, one clove of garlic and turmeric powder. Once dal is cooked, remove lid of pressure cooked and allow dal to cook on a low flame to thicken. Blend 2 cloves of garlic, ginger, onion, green chillies and coconut into a fine paste. To the cooked dal, add tamarind, jaggery, rasam powder and red chilli powder and stir well. Heat a pan with ghee, add onion-coconut paste and fry until fragrant. Add this to the dal. Heat another spoon of ghee in the pan, add mustard seeds, cumin seeds, hing, dried chillies, curry leaves and stir well. When mustard seeds have popped, add this to the dal. Add salt to taste, stir through fresh coriander and serve with rice or roti. Enjoy!